Infuse your seating plan with extra personality by theming the tables at your wedding feast. The wedding world is constantly evolving, with countless new themes coming through to inspire couples every year. However, the one thing that does seem to stay constant is the growing trend towards personalising each and every aspect of your celebration to truly convey your tastes and personalities to guests. One fabulous way to do this is to theme your table plan to tell a story of your journey as a couple, the things you do together and the things that you love. If you are hosting your wedding in one of Thailand’s fabulous private villas, you’re free to personalise almost every aspect of your celebration, so themes are a great way to make the celebration extra special. If you’re struggling for a theme to settle on, below is some inspiration. While some of your wedding guests are likely to have been with you and your loved one throughout your whole journey as a couple, there are others who might not have known you since you first met. Either way, both types of guest will love the idea of getting to know your story as a couple – and you can tell it through your table plan. One popular way to do this is to divide tables into countries and cities you’ve visited together. 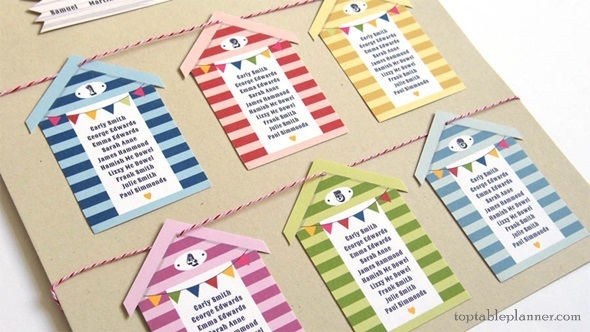 Another is by setting landmarks for each table, perhaps where you met on your first date, where your first house was or where your husband-to-be proposed. 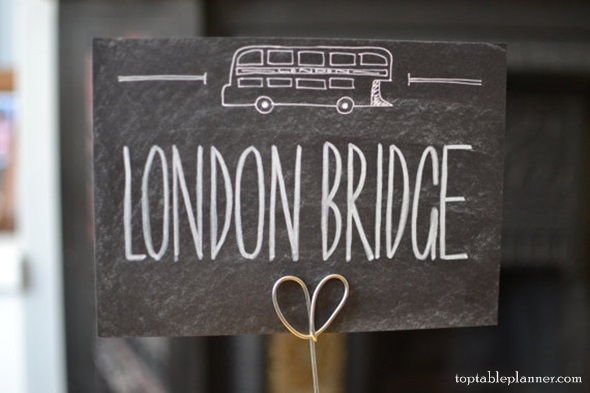 You can make written signs to decorate the table and even use photographs from occasions that relate to that table’s theme. For couples with a shared love of all things musical, it makes sense to place such a passion at the heart of you wedding. A good place to start might be to theme each table around your favourite artists as a couple, from Janis Joplin to Justin Timberlake. Perhaps you’ve been to a few music festivals together? If this is the case, why not name the tables after your favourite few, from Glastonbury to Coachella. 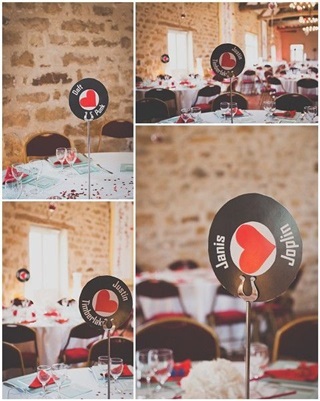 For something even more personal, you could name each table after your favourite songs or those linked to memories. Guests could even try and guess the relevance of the song as an ice breaker before dinner. For some couples, a bond over a shared taste in literature and film may be one of the first things that brought you together. 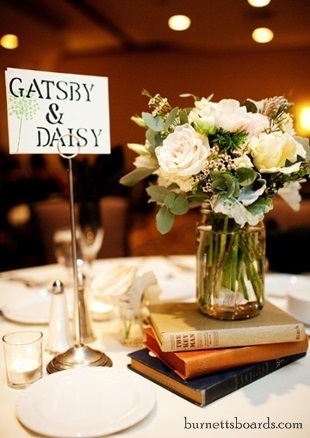 If this is the case, make it a central feature of your wedding by theming your table plan around it. Movie buffs can name each table after their favourite movies to watch as a couple, whether you’re into rom-coms or even action flicks. For a romantic twist, having each table dedicated to iconic couples from books or films could work too – think Jack and Rose and Johnny and Baby, Danny and Sandy. If going out on dates to sample the latest and greatest Michelin-star restaurants is one of your favourite things to do as a couple, then theming your wedding table plan around exquisite foods and beverages seems like an obvious choice. You can get creative with how you present this theme as well. 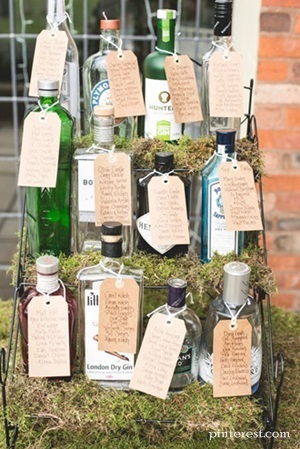 Rather than having lists of names written down on paper or card, this gin-loving couple has decided to use empty bottles of their favourite tipples attached to labels featuring the names of guests. The best part is, they got to have a whole lot of fun drinking their favourite gin-based cocktails in the months leading up to the wedding. If you and your loved one want to create something visually striking rather than telling a story about your memories and experiences as a couple, that’s also perfectly possible when you rent one of Thailand’s private villa wedding venues. Create a vivid rainbow of colour in the spacious dining area by giving each table its own colour. Floral decorations, lavish silks and even coloured Chinese lanterns could all be used to denote which tables are scarlet, mauve and magenta. This theme also offers a chance to get creative with centre pieces and party favours too, as you can make them up to match the colour of the table as well.